A super-cool Pirate Skull Droolbuster dog bib that's practical as well as fun! 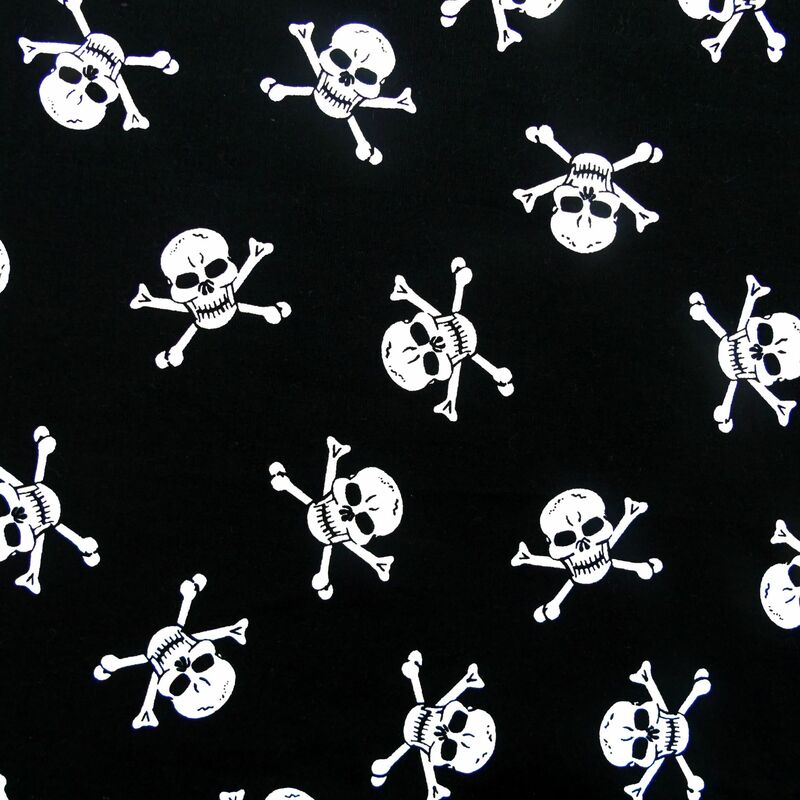 The cotton print has a black background, and an all over print of white pirate skull and crossbones. It looks particularly stylish combined with the Red or Black Terry Towelling options, but any of our 8 towelling shades look great with this black & white print.